Taran has served Nicco, prince of Marcase, for twenty-three years. While on a fact-finding mission to Corsica–a planet annexed by the empire thirteen years ago–Taran and Nicco are kidnapped by the Freedom Alliance and taken deep into the Corsican hardwood forests. Da’Renna, sister to King A’yen’s linked bodyguard, has loved Taran since the moment he saw her. Leaving him behind wasn’t easy, but her brother needed her more. Hearing about Taran’s kidnapping makes her wonder if she made the right choice. With the help of a friend from Corsica, Da’Renna and her brother sneak in to find Taran. 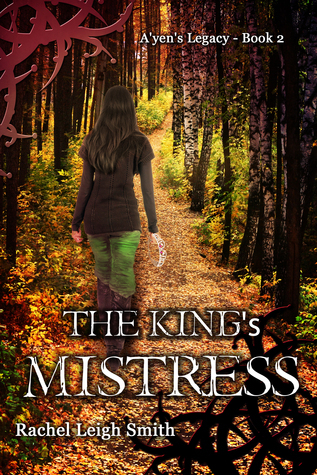 When mercenaries take her hostage, Taran must make the choice he dreads most: his master, or his soul-mate. If Taran loses his girl, he’ll never find his way to freedom. 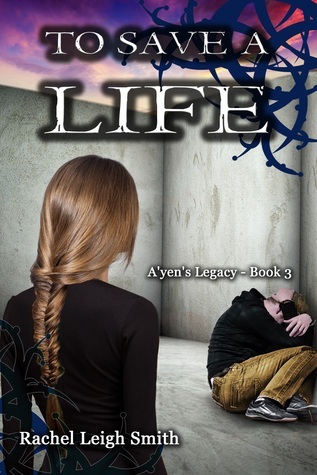 Note: This novel stands alone and is a great entry point into the A’yen’s Legacy futuristic romance series. 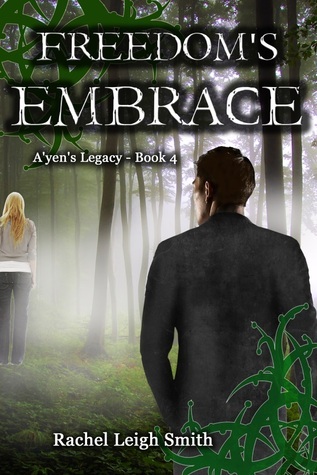 This is book 4 of the A’yen’s Legacy series, and introduces Ren and Taran, who we met briefly in book 3, as the main characters. The book is split between two stories, really, with some sections filling out the history between Ren and Taran while others follow present day events, which take place shortly after the events of To Save a Life. It was interesting to finally get a deeper glimpse inside the Marcasian Empire and some of the problems it faces. And, of course, to get to know Taran better – ok, and some of the other characters. Ro and Varune make a significant reappearance in the story, and we see some of the more familiar faces too. I had no difficulty following the separate story lines, and especially the historical information was useful to finding out what drives Ren and Taran in the present. And I’ll be frank; at times I just wanted to knock their heads together and get them to wake up and see the light… well, to be honest, that applies more to Ren than to Taran: Taran has a far better grip on what’s really going on. The book is an excellent exploration of what “freedom” really is and means to different people. That, and sacrificial love. And boy, the answers don’t come easily in the slightest. Another star turn from Rachel, and I can’t wait for the next one! When Fae is trapped in a cave-in at a dig site and wakes up with fake memories, A’yen knows who’s to blame. Proving it is the hard part. Things get worse as his past relationship with a human male, a man once again part of his life, is used to trap him and try to turn the people against him. And destroy his marriage. Ro is then framed for murder, another move to discredit A’yen. Saving his marriage and reputation is easy compared to saving Ro’s life. Ro’s demons come for him, taking him back to a life not worth living. Can this series get any more addictive? It’s taken me three days to read through this book (with extensive breaks inbetween enforced by life – breaks which were infused with a longing to read more), and I could easily read the next one. I can’t say that this book is better or worse than the previous two, but the events that unfold are compelling. At times one laughs out loud, at others one cries, and yet others one wants a certain person to burn in hell… yet through it all, one just wants to read, devour, inhale more of this book. Smith introduces us to several new characters in these pages, expanding our knowledge of the Marcasian Empire in particular. I for one cannot wait to learn more of them, as I know we will in upcoming books.